Universe of Faith talks to Alfred E. Baldacchino, an environmental expert who is highly concerned about the fact that in Malta, we keep repeating the same mistakes detrimental to human health, the environment and the economy. “In the 1970s the government introduced Acacias trees which are detrimental to some people suffering from asthma, allergies, sinusitis etc. This alien species was introduced in Malta after a donation to the government of the time. Today, landscapers are doing the same mistakes by introducing alien species in our roundabouts, streets and other urban areas. One such example is the fountain grass, Penisetum, which following its planting in major roads, has now escaped and is growing uncontrolled along streets, in fields and also in valleys, competing with indigenous flora.” He explained that while there are also indigenous plants which can cause allergies these grow in small quantities and not invasively like the alien species. He also warns about the dangers of importing olive trees which are suffering from a deadly disease causing great economical and ecological damages. “Do we have to go through such negative ecological and economical experience to make us aware of the actions that needed to be taken?” he asks. Alfred calls for the appreciation of our indigenous plants, those which have been adorning our country before the arrival of man, as well as implementing clear policies concerning alien invasive species which are destroying our ecosystems. Pope Francis, in his recent letter On Care for Our Common Home also echoes this thinking when he said that some profits cause “terrible injustices, much greater than the economic benefit to be obtained,”. He also dedicates thirteen paragraphs (24, 32-42, 169, 190) of this letter on the value and protection of biodiversity. Since the first day when the tree protection regulations of 2001 were amended in 2011, the future of trees in Malta was open to the whims and fancies of developers and so called ‘landscapers’ who butcher them to their hearts’ content. A common sight of the trail left behind by Maltese landscapers, who now seem to have also been accepted by the University, unless one hears to the contrary. Through these years, the environmental NGOs, or some of them, have protested and protested against such butchering of trees paid out of public funds. And the conscientious and intelligent general public also kept on protesting ad nauseam. But nobody seems to care. Nobody seems to hear and nobody seems to listen. Nobody is conscious about the environmental and social damage. And the butchering goes on and on and on. We will constantly protect existing trees in the Maltese towns and villages, and we will encourage the planting of more trees, especially indigenous trees. page 101, article 56. The government has been involved in a Private Public Partnership for the last 14 years. The total amount paid for this so called landscaping, for which there is no official regulator from the biodiversity and social aspects, is approximately €112 million, or €8 million each year. And what has the country got to show for it. Invasive species and exotic trees, imported species for such landscaping, even imported indigenous specimens, to the detriment of Maltese biodiversity and to society, and planting of annual flowers which are ploughed and uprooted after a couple of weeks. Despite the number of national and international obligations including EU obligations, with regards to the control of invasive species, such ‘landscaping’ goes on without any consideration for them. Furthermore, the use of expanses of turf gulping the scare resource of water with the use of added herbicides seems to be the cherry on the commercial cake of this private public agreement. To the extent that the Minister responsible for landscaping still persists in keeping this public agreement confidential, and endorses €8 million annually. Why? What is there to be ashamed of, unless of course this mismanagement is not in line with the public contract? In the meantime the Minster for Environment looks as if environment is not his responsibility. One of the many olive trees which have been ‘professionally pruned’ on the University of Malta campus. If this ecological vandalism is accepted by the University of Malta, then I am sorry to say that the University has been taken for a ride. Twice. The University deserves much much better than this. Such gross mismanagement and waste of public resources lacking any scientific and professional basis, ignoring international and EU obligations, to the detriment of society and the environment, now seems to have also infected, penetrated and hijacked the University of Malta. 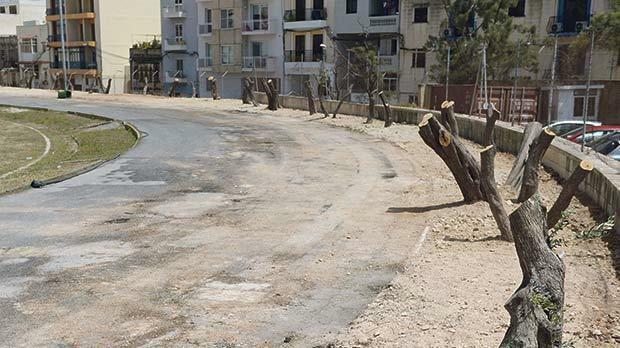 The Times of Malta (May 7) produced photos of butchered trees in the precincts of the University of Malta – 66 mature olive trees. The institution, one would presume, is aware of the public outcry regarding the mismanagement of trees in the Maltese Islands for the last decade or so. Who has given the green light for such butchering? And what has happened to the timber from the chopped trees? There are qualified professional staff at University who, I am sure, if they had been consulted would have strongly objected to such nonsensical, unprofessional butchering of trees. The more so since during this time of the year the trees are in flower and are beneficial to pollinators, including bees. So who has given the green light for such butchering? And what has happened to the timber from the chopped trees, especially when olive tree wood is so much in demand? Who is paying whom for such mismanagement? Who is going to pay for the damages done? One wonders why such butchering was allowed on the University campus. Has it been an internal decision or was it an imposed decision from outside? Civil society looks at University as the source from where trained professionals find their place in society and be involved in the professional running of the country. Civil society also pays to achieve this too. But the butchering of trees on the campus does not reflect any success of trained professionals in the field. On the contrary such mismanagement officially approved on the campus, look more like a failure on the part of the University. One can add that lack of qualifications of self-proclaimed landscapers in the management of trees, has completely taken over any professional management one would expect from a University. Could this be the result that the educational system where each and every faculty is just concerned only in its narrow specialties, not caring a finger on the externalities or responsibilities that the decisions taken by their eventually qualified students on the wider social and environmental fabric of the island? One can only hope and wait that one day, possibly yesterday, Malta too would have qualified professionals having a wider vision of social and environmental responsibilities, who are also accepted and involved in the governance of the country. The butchering of mature trees on the campus if anything, has severely dented the professionalism at University in this field. And everyone expects a strong reaction to address this mediocrity which now has been going on for far too long without anybody taking any responsibility for it. Invasive alien species are causing havoc the world over, not least in our island. Little attention is being given to them locally. The price being paid by society and the environment is on the increase with little help from the official entities who are responsible to control such invasive species before they establish themselves in our ecosystem. The commercial and financial gain of the importation of species and their derivatives takes priority over the negatives financial impact borne by society and the environment. Great Britain spends £3 billion annually to control three invasive fresh water species. 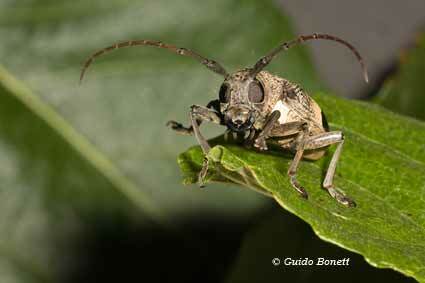 The EU, spends €16 billion annually to control the negative impacts of invasive alien species. The official vision of the prevention and control of local invasive species seems to be heading that way too for Malta. The Red-palm weevil devastating palm trees on the island, introduced by infected palm trees imported from infected areas, to be used for landscaping, despite advice to the contrary. The recent locally introduced invasive alien species and the damages caused are known by one and all. These include the Red Palm Weevil which has to date destroyed about 1400 palm trees including a great percentage of mature and historical trees; the African brown mulberry long horn beetle which has decimated the great percentage of old mulberry trees in Malta, and now seemingly turning its attention to the fig trees and possibly citrus trees; a new beetle which is killing carob trees and other indigenous trees; and the geranium bronze butterfly which as yet is only impacting cultivated geraniums and has not as yet attacked the indigenous wild species of related geranium species. As yet the disease (Xylella fastidiosa bacteria) which is spreading in Italy and attacking and destroying olive trees has not been recorded in Malta, as far as one is aware. Italy may have to destroy about one million olive trees to control such disease and is under pressure by the EU to do so. But what is being done to prevent the introduction of this disease with the olive trees still being imported from Italy despite such imminent danger? The general public has been informed by the Parliamentary Secretary for Agriculture, that all imported olive trees have to have a phytosanitary certificate, and olive trees are being monitored. This naïve statement shows the poor awareness of the dangers of such destruction of local olive trees, citrus trees and vines, and the industry they support. No proactive measure are being implemented, let alone considered. Then when the horses bolt, a study will be commissioned on how to close the stable doors. The species which carried the above recently introduced alien invasive species were all accompanied by a phytosanitary certificate. It seems that the Parliamentary Secretary responsible for Agriculture is following the footsteps of his predecessor under whose ‘reign’ the above invasive species were introduced. Unfortunately he seems to be more interested in finding a loop hole to ensure the shooting of birds during their spring migration than taking professional steps to protect local agriculture and the ecosystem of the Maltese Islands. According to the EU, the disease affecting the olive trees in Italy, can also attack citrus trees and vines by the insect-transmitted bacteria, which causes the trees to wither and for which there is no remedy. Would be very interesting to see the comments of the Parliamentary Secretary if, God forbid, such a disease would establish itself also in Malta. Money talks and the people and the environment pays. You are currently browsing the archives for the Olive trees category.